Happy Friday! Always a great feeling to make it to the weekend after a long week of appointments, working, chauffeuring kids, cooking meals, and just basically running around like a crazy person. Right? 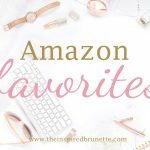 I haven’t done a Friday Favorites post for a long time, so thought I’d share a few of my recent favorites. Mamas of toddlers, I included my absolute favorite thing lately for little ones at the end of this post. Some of you probably already knew about this, but I didn’t and it has seriously been a game changer for us! I love it when a shoe is stylish and functional. Need I say more? My running shoes are great for chasing after a three year old, but I don’t always want to be wearing my running shoes! And trust me, she runs A LOT! It is not easy to chase her in tall booties or even flats, so hello to these fun little booties. Can I call them booties? They are more like a wedge sneaker, and come in three colors. I bought the black during the Nordstrom Anniversary Sale, which I have been wearing quite a bit the last few weeks. I did size up a half size in these as sometimes I can go either 8.5 or 9. Here is a link to a similar option at a slightly lower price point. Note that I have not tried these on, so can’t speak to how comfortable they are, but they received pretty good reviews. 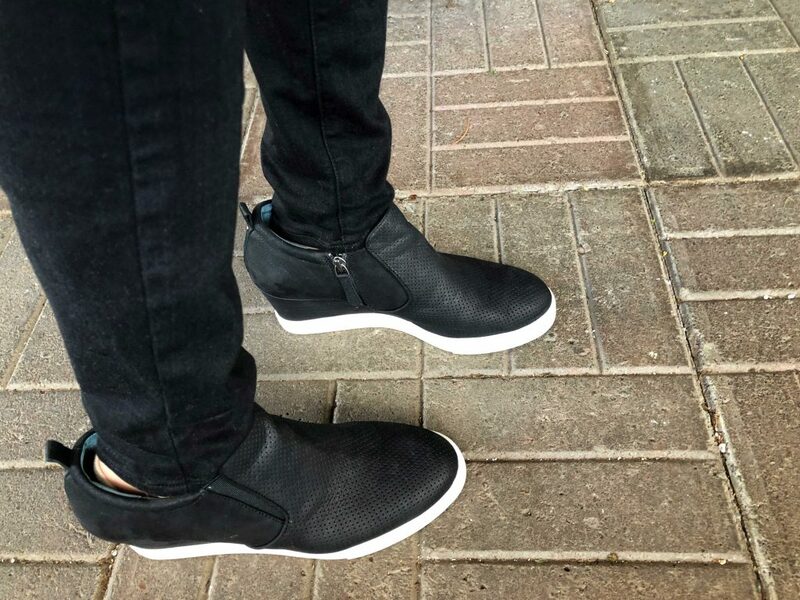 These Steve Madden booties also come in black, grey, and olive green. This pink cardigan is another of my favorite finds at the Nordstrom Anniversary sale that I am just now starting to wear. It is hard to shop for sweaters in July, but I am so glad I did! This cardigan is super soft and comes in several different colors. It has been perfect for the crisp fall mornings we are just starting to experience here in the PNW. I seem to have a slight obsession with anything blush, and clearly blush cardigans, because I just realized that I have a second one that I bought last year and love already hanging in my closet. You can see that one in this post I did last winter on my favorite cozy sweaters. Although that one is a heavier knit, so I am positive I will get lots of wear out of both! The leopard flats in the picture above are only available in a few sizes, but I found some similar flats that would also be super cute for fall. These sueded pointy ballet flats from Old Navy, or these leopard print flats from J.Crew Factory are other options. One thing I love about J.Crew Factory is that if you are patient, you can always find a sale! Mrs. Meyer’s fall scents are out, so if you haven’t tried these cleaning products yet, now is a great time if you love apple or pumpkin scented products. 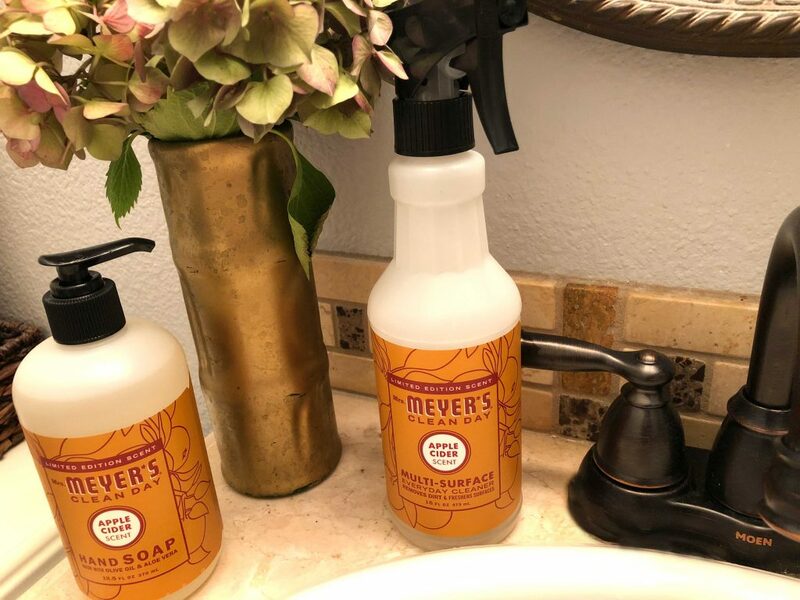 I picked up the apple cider multi-surface cleaning spray and hand soap while out shopping, but you can also find Mrs. Meyer’s products on Amazon. 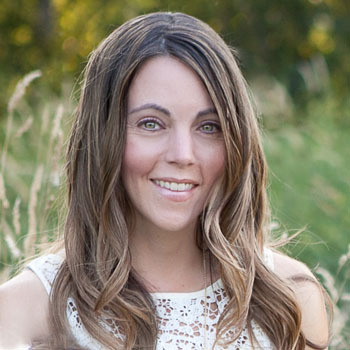 Mrs. Meyer’s products are made with plant-derived ingredients and essential oils, so no harsh chemicals. You can find information about the ingredients they use and do not use on their website. I have used these products for years, and love how they make my house smell! My three kids all have curly hair, ranging from waves to ringlets. Spray bottles are a necessity in my house every single morning. 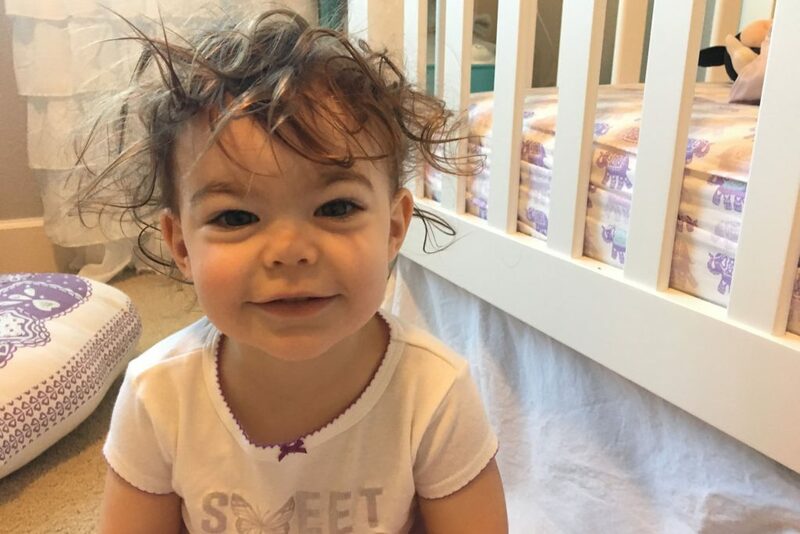 This picture was from well over a year ago, but you can see what kind of bedhead I have to deal with on a regular basis…And this one now has ringlets so her bedhead is way worse! I have always used the cheap plastic spray bottles in the dollar bins, but am constantly replacing them due to the nozzle breaking. So I was super excited when my son’s stylist pulled out this nicer spray bottle last time she gave him a trim. The water comes out more like a mist, so the water doesn’t hit their little heads as harshly or with as much water. His stylist bought hers from a beauty supply store, but I found a few options on Amazon. Excited to try it out and see if it lasts longer! Okay mamas with little ones who are potty training, this next one is for you! Now I realize this may be a little odd to make its way onto my list, but if you have a toddler in the midst of potty training, you are going to want this. If you don’t have a toddler, tell your friends who do. Not kidding you, this sucker has truly been a game changer. 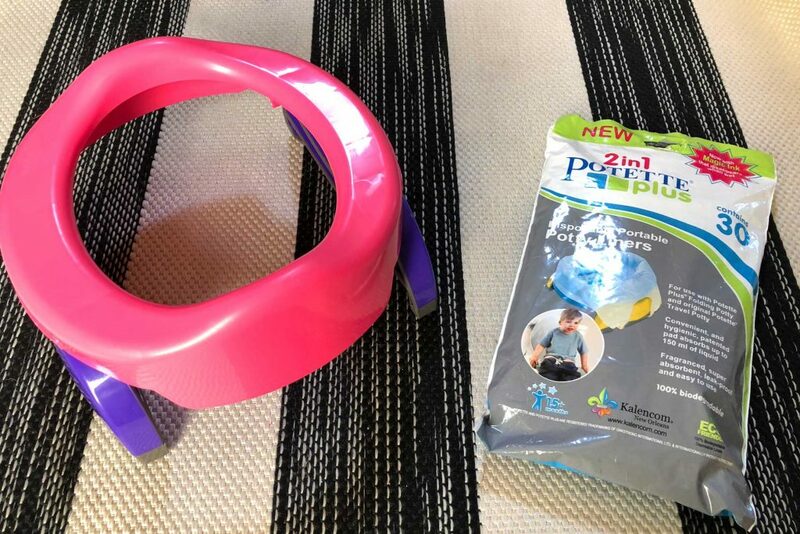 Buying the Kalencom Potette Plus 2-in-1 Travel Potty Trainer Seat is probably one of the best decisions I have made all year. With two older kids very involved in school, dance, and baseball, my three year old gets dragged along to everything. This travel potty has saved us so many times. You just lock down the legs, pop in the liner and it is all set. 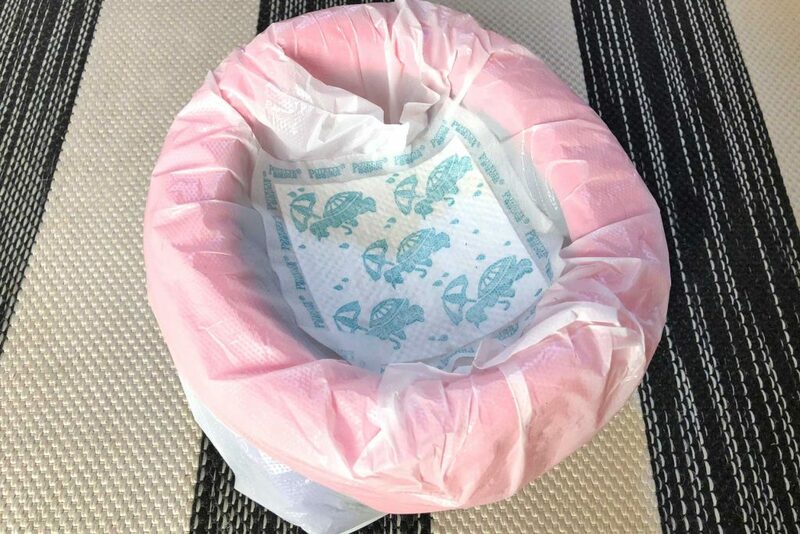 My little one has used it in parking lots, the back cargo area of our car, inside our car (when it was dumping rain outside), and even while hiking. The liner sometimes takes a bit of tugging to go on, but it will stretch around the legs to fit. The potty comes with three liners, but I also bought this pack of 30 Kalencom Potette Plus Liners on Amazon as well. Another bonus is that you can unlock the legs and use this on a regular toilet seat at home if your little one is more comfortable with a smaller seat. 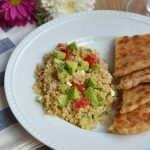 Mamas you will not be disappointed! I am obsessed with all things blush PINK! Love that cardi! I feel like I need to go shopping more! The travel potty is probably the one thing I might get ha! It saves on having to make pit stops at places to pre/poo… I have never been one for heals but I always love fall cardigans! Alexis the travel potty is such a great purchase. It has saved us so many times! We have used in in parking lots, at baseball games and so many other places! 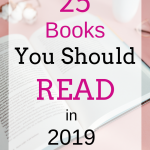 Love this list, especially the cardigan! Thank you Melisa! I am a sucker for cardigans! I loooove the Mrs. Meyer seasonal cleaning supplies! And I think it’s finally time to get a travel potty for potty training – I’ve had so seen it suggested so many times! Mrs. Meyer’s seasonal supplies always go fast too! I seem to get lucky and find them right when they come out. Erin that travel potty is the best! You definitely need to try one! Cardigans are such a great layering piece! Hope you find some cozy ones this fall! I am a cardigan lover! I have a ton of them and I cannot wait for sweater weather so I can start wearing them again! I always go back and forth on sweater weather. I love the summer, but there is definitely something to be said about wrapping yourself up in a cozy sweater!